Bujinkan Judo Club has been providing judo classes and seminars and courses to all, irrespective of age, ability or level for almost 40 years. 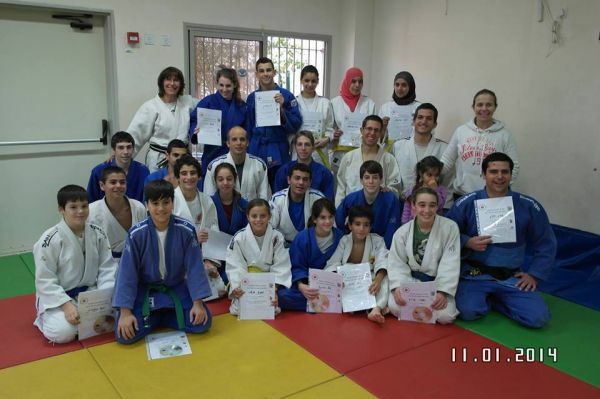 Basing our classes on the precepts of Professor Kano and the values of Kodokan Judo, we not only provide classes to experienced judoka and aspiring athletes but we promote judo at grassroots level in schools and community centers in Jewish and Arab towns promoting Judo for Peace by bringing players together in a mutually trusting and respectful environment. We also offer ongoing Special Olympic classes to institutions and individuals who are integrated into regular classes. Our dojos in Zichron Yaakov, Geva Carmel, Yokneam and Baka al Gharbiyya are always open to guests.